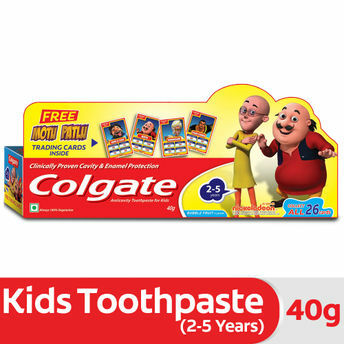 Colgate Kids Toothpaste Bubble fruit Flavour is an anti-cavity toothpaste which is mild and safe for child of age 2 to 5 years. This toothpaste is specially formulated for kids to make brushing fun activity. The Fluoride toothpaste comes in a fruity Bubble fruit flavour in a colourful gel form. It is clinically proven enamel that provides cavity protection. It is recommended by IDA (Indian Dental Association) and ISPPD (Indian Society of Pedodontic & Pediatric Dentistry). Its gentle fruity flavour and fun filled animal characters will help your child enjoy brushing!